The Damascus Pentateuch, from around the year 1000, is one of the oldest extant Hebrew biblical manuscripts. It includes full vocalization, accentuation, and Masoretic annotation. The manuscript is defective in its beginning, as it starts with Genesis 9:26; Exodus 18:1–23 is also missing. Written on parchment in oriental square script, the text is in three columns per page, 20 lines per column. The manuscript belonged to the Jewish community of Damascus (hence its name) until 1915, when it was acquired by the collector and bibliophile D.S. Sassoon. In 1975 it was acquired by the Jewish National and University Library (what later became the National Library of Israel). Pentateuch is a term for the first five books of the Hebrew Bible: Genesis, Exodus, Leviticus, Numbers, and Deuteronomy. The Masoretic annotations are the collection of critical notes, compiled in the 7th–10th centuries by Jewish scribes and scholars known as the Masoretes and accepted as the authoritative regulator of the written and vocalized transmission of the Hebrew Bible. This manuscript, possibly a remnant of a complete Hebrew Bible, includes books from the Nevi’im (Prophets) as well as the books of Chronicles and Psalms from the Ketuvim(Hagiographa or writings) section of the Bible. (The tripartite division of the Hebrew Bible includes the Torah, the Prophets, and the Hagiographa.) It includes full vocalization and accentuation, as well as some Masorah Parva notes. The latter are very brief notes on the side margins or between columns, which are part of the Masorah, the collection of critical notes, compiled in the 7th–10th centuries by Jewish scribes and scholars known as the Masoretes and accepted as the authoritative regulator of the written and vocalized transmission of the Hebrew Bible. The manuscript is on parchment, in Ashkenazi square script, with two columns per page and 28–30 lines per column. The leather binding was added by an apparently Christian owner of the manuscript in France in the beginning of the 18th century. The Cervera Bible is among the oldest and most significant Sephardi Bibles to survive the destruction of most of the Jewish communities in the kingdoms of Castile and Aragon beginning in 1391 and the expulsion of the Jews from Spain in 1492 and from Portugal in 1498. An extremely rare example of the Iberian Hebrew paleography of its time, this manuscript on parchment consists of 451 folios in two columns, each with 31 lines. Profusely illuminated in gold and color with Mozarabic and Jewish motifs, it includes the books of the Old Testament, the Masorah (the body of textual criticism of the Hebrew Scriptures with notes on writing, vocabulary, and variant sources, pronunciation, and other comments), and a grammatical treatise, Sefer Ha-Nikud (The book of vocalization, which is better known as Et Sofer, literally, “The writer’s pen”), written by Rabbi David Kimhi (circa 1160−circa 1235). The scribe who copied the main text, Samuel Ben Abraham ibn Nathan, is identified in the colophon at folio 434 recto. This page also states that the work was executed in Cervera (present-day Lleida Province, Catalonia, Spain); it was begun on July 30, 1299 and completed on May 19, 1300. This colophon also originally included the identity of the patron, which was later erased, probably because of a change of ownership. The identity of the illuminator, Josef Asarfati, a Jew of French origin who settled in Castile, is found in the last folio of the codex, a colophon in zoomorphic letters, making this is a rare example of a Hebrew manuscript containing an explicit signature of the artist. The identity of the Masorah scribe (Josue ben Abraham ibn Gaon) is also known, as his name is inscribed in 20 places in the Masoretic text. The illuminations are spread across many frames and display a remarkable diversity of color and forms. They include ornamental page borders, full-page illuminations representing Jewish iconography, and smaller illuminations illustrating parts of the Old Testament or symbolizing its different books or depicting objects from the Tabernacle used in worship. Some of the illuminations have a largely decorative function (e.g., the hunting scenes and the drolleries). Many of the full-page illuminations are found in the treatise on grammar, where they frame the text with architectural, animal, and human-figure motifs. The Masoretic text is developed in micrographic script, forming geometric schemes and stylized vegetable, animal, and mythic animal motifs. The binding, with cardboard folders covered in red leather and engravings in gold and marbled flyleaves, dates from the 18th century. The manuscript was acquired in 1804, in The Hague, on the initiative of António Ribeiro dos Santos (1745−1818), head librarian of the Royal Public Library of the Court in Lisbon, for the sum of 240,000 reis. This manuscript of the Hebrew Bible is comprised of 340 large-format folios in parchment of excellent quality written in three columns. They present a beautiful Sephardic square letter of the biblical text, with Minor Masorah on the margins and between the columns, and Major Masorah in the upper and lower margins, in three and four lines respectively. The text has Tiberian Hebrew punctuation, which greatly resembles that in the best Eastern codices that are examples of this tradition. The parashiyyot (in singular,parashah, annual pericope) are indicated in the margin by means of the abbreviation parash or the letter peh (both decorated). The order of the books of the Bible coincides with the one prescribed in the Babylonian Talmud. In most cases, the Major Masorah is ornamental, especially in the outer margins of the first books of the Pentateuch, and forms micrographs with plant and geometric motifs that in places are reminiscent of large candelabra. This characteristic of the manuscript has given rise to some doubts about its place of origin, since candelabra-shaped micrographs are more common among Catalonian Bibles of the second half of the 14th century. It seems clear, however, that this Bible cannot be associated with the Catalonian school of the 14th century. It is dated to the 13th century, and the style of the candelabra in this manuscript is different from those in Catalonian Bibles. The manuscript reproduces a note concerning proof of purchase that until recently was thought to be the colophon. It states that the Bible was bought by brothers Isaac and Abraham ben Maimón in Toledo in 1280. The manuscript’s Toledan origin seems plausible given the sedarim (singular form, seder, triennial pericope), a typical feature of the Bibles of the Kingdom of Toledo. However, candelabra-shaped micrographs are not found in any other known Toledan manuscript. At the end of the Pentateuch, the Early Prophets, the Latter Prophets, and the Chronicles are exhaustive Masoretic notes that state the total number of the verses and pericopes, as well as the verse, the word, and the medial letter of each book of the Pentateuch, along with other lists with information about the text. The verse recount, which appears at the end of each book of the Bible, generally appears within an ornate vignette (cut off in some cases). The manuscript was part of the collection owned, used, and annotated by the convert Alfonso de Zamora (circa 1474–circa 1544), teacher of Hebrew in Salamanca and Alcalá de Henares. Evidence for his ownership is apparent in his characteristic way of numbering chapters or naming the books of the Bible, for example. The manuscript is also known to be the one used extensively for the composition of the Hebrew text of the Complutensian Polyglot Bible of 1514. It has a Complutense (of Alcalá de Henares) cloth binding from the 16th century and bears the golden coat of arms of the Complutense University of Madrid. This manuscript Hebrew Bible with full vocalization, accentuation, and Masorah annotation was created in Spain in around 1300. The Bible is illustrated and decorated in color, silver, and gold. The books of the Bible are arranged in the conventional order later adopted in Hebrew printed editions, with the exception that Ecclesiastes precedes Lamentations. Written on parchment in Sephardi square script, the manuscript has three columns per page, with 35 lines per column. The Masorah Magna notes are written in micrography. Masorah refers to the collection of critical notes, compiled in the 7th–10th centuries by Jewish scribes and scholars known as the Masoretes, and accepted as the authoritative regulator of the written and vocalized transmission of the Hebrew Bible, especially in matters of spelling, vocalization and accentuation. The Masora Magna refers to the relatively long notes on the upper and lower margins of a Bible manuscript, as distinguished from the notes surrounding the first letter of each book (the Initial Masorah) and on the side margins or between columns (the Masorah Parva). The Jewish National and University Library (what later became the National Library of Israel) received the manuscript as a gift in 1969. This Hebrew Pentateuch with Haftarot (portions from the Prophets section of the Hebrew Bible, read in synagogue on Sabbaths and holidays following the Torah portion) added at the end was created in Sana’a, Yemen, in 1485. The manuscript includes full vocalization, accentuation, and Masorah annotation. The Haftarot include the Targum, or Aramaic translation, following each verse. Preceding the Torah text itself are two grammatical treatises (comprising 15 leaves in total) common in Yemen. The manuscript is written on paper in Yemenite square script, in two columns per page, with 25 lines per column. Created by David ben Benayah ben Saadiah ben Zekhariah, a member of a well-known family of Yemeni scribes, the manuscript has been owned by the Hibshoosh family since 1910. The three divisions of the Hebrew Bible are the Torah (Pentateuch), the Prophets, and Writings or Hagiographa. The Masorah annotations are the collection of critical notes, compiled in the 7th–10th centuries by Jewish scribes and scholars known as the Masoretes, and accepted as the authoritative regulator of the written and vocalized transmission of the Hebrew Bible. 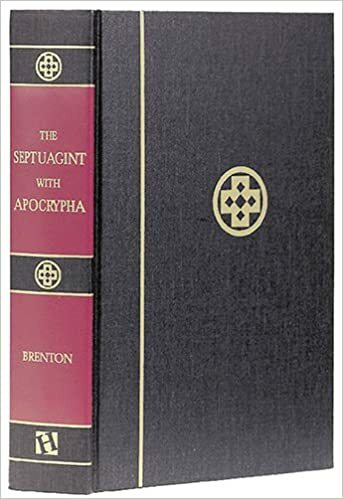 The Septuagint (from the Latin septuaginta, “seventy”) is a translation of the Hebrew Bible and some related texts into Koine Greek. The title (Greek: Ἡ μετάφρασις τῶν Ἑβδομήκοντα, lit. “The Translation of the Seventy”) and its Roman numeral acronym LXX refer to the legendary seventy Jewish elders who solely translated the Five Books of Moses into Koine Greek at the time of Ptolemy Philadelphus, (285–247 BCE) for the library in Alexandria, Egypt and the Jewish Community of Alexandria in general, most of whom did not speak Hebrew. The story of the elders being invited to Egypt and writing the translation is mentioned in The Letter of Aristeas, Josephus (Ant. Jud., XII, ii), Philo (De vita Moysis, II, vi), and the Babylonian Talmud (Megillah 9a-9b). Today, there are three main manuscripts of the Septuagint, in existence: Codex Alexandrinus, Codex Sinaiticus and Codex Vaticanus. The manuscripts include all of the Tanach and some additional apocryphal books that used to be in the Hebrew Bible, but were removed from it during the Talmudic period. All three manuscripts are available online now. What is the Codex Sinaiticus? The literal meaning of ‘Codex Sinaiticus’ is the Sinai Book. The word ‘Sinaiticus’ derives from the fact that the Codex was preserved for many centuries at St Catherine’s Monastery near the foot of Mount Sinai in Egypt. The Codex is the remains of a huge hand-written book that contained all the Christian scriptures of the Old and New Testaments, together with two late first-century Christian texts, the Shepherd of Hermas and the Epistle of Barnabas. This book was made up of over 1,460 pages, each of which measured approximately 41cm tall and 36cm wide. Just over half of the original book has survived, now dispersed between four institutions: St Catherine’s Monastery, the British Library, Leipzig University Library (Germany), and the National Library of Russia in St Petersburg. At the British Library the largest surviving portion – 347 leaves, or 694 pages – includes the whole of the New Testament. All the texts written down in the Codex are in Greek. They include the translation of the Old Testament known as the Septuagint. The Greek text is written using a form of capital or upper case letters known as Biblical majuscule and without word division. The pages of the Codex are of prepared animal skin called parchment. Who made the Codex Sinaiticus? Modern scholars have identified four scribes as responsible for writing the Greek text. Trained to write in very similar ways they, and their contributions to the manuscript, have been distinguished only after painstaking analysis of their handwriting, spelling and method of marking the end of each of the books of the Bible. As is the case with most manuscripts of this antiquity, we do not know either the names of these scribes or the exact place in which they worked. Successive critics have argued that it was made in one of the great cities of the Greco-Roman world, such as Alexandria, Constantinople, or Caesarea in Palestine. During the production of the Codex each of the scribes corrected their own work and one of them corrected and rewrote parts by another. These corrections contain many significant alterations and, together with further extensive corrections undertaken probably in the seventh century, are some of the most interesting features of the manuscript. How did the Codex come to the British Library? The 694 pages held by the British Library were purchased for the British nation in 1933. Over half of the price paid, £100,000, was raised by means of a public fund-raising campaign. The seller, the Soviet government of Joseph Stalin, sold the Codex to obtain desperately needed foreign capital. So far the British library put online only the text of volume 4 which contains only the New Testament. The Septuagint is still not online. However The Center for the Study of New Testament Manuscripts has posted the images for all the volumes online in Black and White from the 1879 and 1909 facsimiles published by the British Museum. The Codex Alexandrinus contains the Septuagint (the Koine Greek version of the Old Testament) and the New Testament, in addition to a few additional pieces of text that do not appear in standard Bibles, such as part of the Epistles of Clement. The beginning lines of each book are written in red ink and sections within the book are marked by a larger letter set into the margin. Words are written continuously in a large square uncial hand with no accents and only some breathing marks. It contains 773 pages, 630 for the Old Testament and 143 for the New Testament. Each page measures 32cm x 26.5 cm. Codex Vaticanus is one of the oldest extant manuscripts of the Greek Bible (Old and New Testament). The Codex is named after its place of conservation in the Vatican Library, where it has been kept since at least the 15th century. It is written on 759 leaves of vellum in uncial letters and has been dated palaeographically to the 4th century. The manuscript is believed to have been housed in Caesarea in the 6th century, together with the Codex Sinaiticus, as they have the same unique divisions of chapters in the Acts. It came to Italy – probably from Constantinople – after the Council of Florence (1438–1445). The manuscript has been housed in the Vatican Library (founded by Pope Nicholas V in 1448) for as long as it has been known, appearing in the library’s earliest catalog of 1475 (with shelf number 1209), and in the 1481 catalog. In a catalog from 1481 it was described as a “Biblia in tribus columnis ex membranis in rubeo” (three-column vellum Bible). 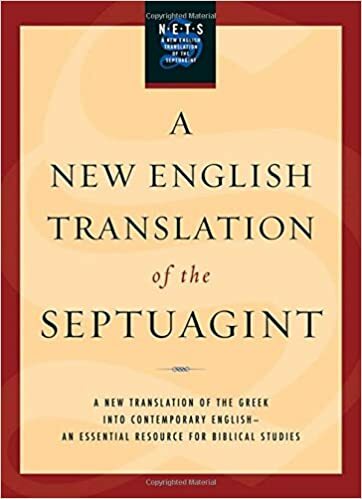 If you would like to read the Septuagint in English you can purchase the translation by Lancelot Brenton or by Oxford University Press below. Torah: Pentateuch with vowel-points and accents, masorah magna and parva, aka London Codex. Folios 1-28, 125, 128, and 159-186 were added in 1539/1540, while the rest of the volume can be dated to the 10th century (920-950). The upper perpendicular stroke of the letter lamed is considerably lengthened out in the first line of a page. The left side of the columns is irregular, the scribed not having used the elongated letters. Verse-divisions were originally altogether absent in this codex (whereas they are regularly employed in Codex Babylonicus Petropolitanus, which marks the difference between these two manuscripts). Parts of letter aleph are generally used to fill up the line, perhaps to show that the name of the scribe began with that letter (there is no sufficient certainty on the point). The punctuation, which seems to be contemporary with the consonantal text, is not the super-linear system used in Codex Babylonicus Petropolitanus, but the ordinary system associated with the Tiberian school. The text of this manuscript is identical with the Palestinian or Western recension on which the textus receptus is based, and differs from the Codex Babylonicus Petropolitanus, which contains many readings attributed to the Babylonian or Eastern recension. There is considerable divergence between this text and the commonly accepted masoretic recension with regard to the open and closed sections (petuḥot and setumot). The number of verses in each book and each weekly section are given at the end of the books and sections respectively; no simanim or mnemonic devices are used, and there are also some divergences from the numbers as given in the masorah. The simanim are only marked twice, but the beginnings of the weekly sections are indicated by a later hand in the margins. Both masorah magna and parva were probably written up to a century later that the text. The later annotations seem to prove the Persian affinities of the manuscript. The masorah parva does not generally indicate קרי in the margins. The masorah magna frequently has a different way of expressing the masoretic statements than the one found in Ginsburg’s ‘ The Massorah’ (London, 1880). There are several references to masoretic authorities, including Ben Asher (see folio 40v, 106r). On folio 40r there is a statement indicating that there once existed a whole Bible written by the same scribe and punctuated by the same punctuator. Colophon : Folio 186v: נשלם ביום ג’ בשבת דהוא י”ז יומין לירח מרחשון דשנת אלפא ותמני מאה וחמשין וחד שנין למניין שטרות אנ”ס וכתב הצעיר מכל ישראל יועץ ש[?ל?] ודורש עזרת ה[?אל? …] מפחו בן [ … בן מ[…]. For any issues contact us at support@tanachonline.org.